The Thanksgiving baskets were filled to the brim and beautifully decorated. The tradition of donating baskets for Thanksgiving has brought joy to families all across Staten Island for past fifteen years. This year, on November 24th, around 25 seniors delivered baskets of food won by students and families all across the island. Baskets were donated by individual teachers, students, departments, clubs, and teams. Turkeys were donated by the police department and the Goodhue Center. Ms. Albinder and her family donated 16 baskets. Six gift cards were donated by families in New Jersey. Overall, the school donated over 1,000 pounds of turkey and thousands of canned and boxed goods. In total, 82 baskets were put together. Due to the generosity of hundreds of people and the kindness of those who took valuable class time to deliver baskets, the annual basket drive was a success once again. Starting at 10:00 in the morning, students who signed up were excused from class to deliver baskets. Students with cars were allowed to take up to two other students to help them with the baskets. “Most of the baskets were really heavy. I´m glad Danny [a fellow senior] came with us, because without him, we probably would’ve dropped a basket or two,” said Ashley La Grange, a senior in the nursing program. Volunteers spent all day delivering baskets, even though they were only excused from class until ninth period. 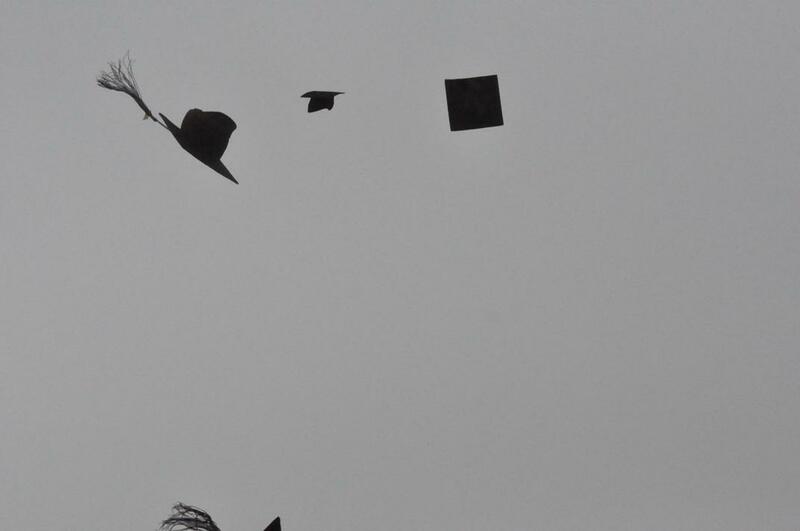 “It was a great experience, and I’m really glad I did it,” said Dilshan Weerasinghe, a senior IB student. “We delivered baskets all day. We made at least three trips, and I think we delivered 16 baskets.” The first basket was delivered at 10:30, and the last basket was delivered at 8:00 at night. 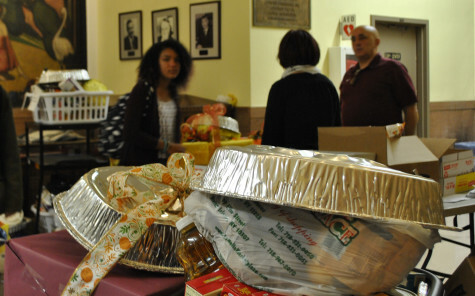 Many students who took part in the Thanksgiving drive had a positive experience. Muneeb Rana, a senior in the IB program, described the day, “I had a lot of fun delivering baskets with my friends. It was great to see the expressions on people’s faces when they opened the door and saw the baskets. The people who won the baskets definitely made the experience enjoyable.” Most of the winners of the baskets were students from Curtis and their families, or individuals and families who were entered into the raffle by a member of the Curtis community.